Excuse the radio silence, I’m currently in a weird state of no signal, no Internet (I can’t even check Twitter) and am surrounded by plenty of boxes to unpack, because last Wednesday, Al and I moved into our first home. 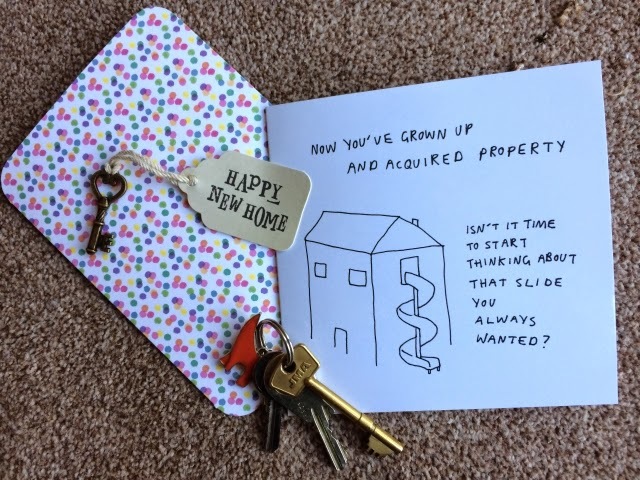 We’ve lived together for the past two years but this time is a little different, we’ve taken our first step onto the property ladder and are now the very proud – can’t stop smiling – owners of a cute little maisonette. The big move was stressful and exhausting but now we’re in, I’ve never felt so content. It really feels like home. We’re currently wading through boxes and working through the mighty task of trying to fit all my clothes and shoes into smaller spaces than they’re used to. The move also served as a bit of a wake-up call, I realised I had nine boxes of shoes to unpack, which seems ridiculous. I knew I had a lot of shoes but not to that extent. Not that I’m ready to part with any of them just yet. The maisonette doesn’t need much work done however this hasn’t curbed my latest obsession of collecting home and bathroom catalogues, just for inspiration. Call me Lawrence, darhhhling. I won’t have Internet until next week so posting will be sporadic until I can get myself sorted and settled. In the meantime I’ll be nipping back and forth to the pub across the road to use their wifi. You can’t beat that excuse.